To characterise the training environment in ICM across Europe, with a particular focus on factors influencing competency-based training. 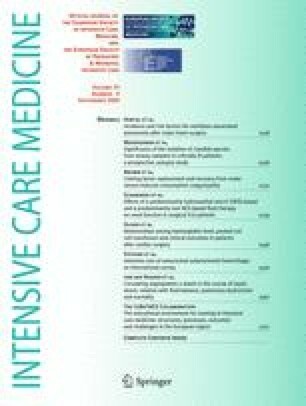 A cross-sectional web-based survey completed by the national coordinator for the CoBaTrICE (Competency-Based Training in Intensive Care medicinE) programme in each of 28 European countries. Since the last survey in 2004, 50% of EU countries have modified their training programmes. Seven have already adopted the CoBaTrICE programme since its completion in 2006. Multidisciplinary access to ICM training (‘supraspeciality’ model) is available in 57%, most commonly as a 2-year training programme. National examinations are held by 26 (93%); in 24 (86%) this is a mandatory exit exam; ten use the European Diploma of Intensive Care (EDIC). A formal national system for quality assurance of ICM training exists in only 18 (64%) countries. National standards for approving hospitals as training centres vary widely. In 29% there is no designated specialist with responsibility for training at the local level. Time for teaching was cited as inadequate by 93% of respondents; only 21% of trainers receive contractual recognition for their work. In 39% there is no protected teaching time for trainees. Half of countries surveyed have no formal system for workplace-based assessment of competence of trainees. There is considerable diversity in pedagogic structures, processes and quality assurance of ICM across Europe. National training organisations should develop common standards for quality assurance, health systems need to invest in educator support, and the EU should facilitate harmonisation by recognising ICM as a multidisciplinary speciality. The online version of this article (doi: 10.1007/s00134-009-1514-4) contains supplementary material, which is available to authorized users. D. D’Hoir, N. Le Devic (European Society of Intensive Care Medicine), N. Middleton, B.Lafferty, C. Edwards (University of Birmingham); K. Tulkis, J. Aulehle (ECOTEC), C. Van Der Vleuten (University of Maastricht). The project is partly funded by a grant from the European Union Leonardo Da Vinci program, with support from the University of Birmingham, European Society of Intensive Care Medicine, University of Maastricht, University of Mater Misericordiae, CYber Imagination and the simulation group SAInT. Supplementary material (DOC 45 kb). Principal authors: J.D. Wilde, J.F. Bion, A Bullock on behalf of the CoBaTrICE Collaboration. Steering Committee Partners: J. Bion (chair), J.D. Wilde (research nurse), T. Clutton-Brock (University of Birmingham), A. Bullock (University of Cardiff), H. Flaatten, N. Mathy (European Society of Intensive Care Medicine), W. Van Mook, L. Schuwirth, (University of Maastricht), B. Marsh, D. Phelan (University of Mater Misericordiae), B. Shippey, G. Nimmo (SAInT affiliation), S. Castel, Y. Hillion, J. Frot, J. Bonnet (Cyber Imagination SAS), H. Rothen (Bern). C. Krenn, P. Germann (Austria), P. Ferdinande, D. De Backer (Belgium), I. Smilov, N. Keremidchieva (Bulgaria), V. Gašparoviæ, R. Radonic (Croatia) T. Kyprianou, M. Kakas (Cyprus), V. Sramek, V. Cerny (Czech Republic), L. Poulson (Denmark), S. Sarapuu, J. Starkopf (Estonia), T. Ala-Kokko, P. Loisa, J. Pikkupeura (Finland), F. Saulnier, J. Duranteau (France), M. Quintel, R. Roissant (Germany), A. Armaganidis, A. Mavrommatis (Greece), T. Gondos, Z. Molnár, A. Bede (Hungary), B. Marsh, D. Phelan (Ireland), P. Singer, J. Cohen (Israel), A. Gullo, F. Rubulotta (Italy), S. Kazune, I. Shapiro (Latvia), A. Van Zanten, A. Girbes (Netherlands), H. Flaatten (Norway), A. Mikstacki, B. Tamowicz (Poland), J. Pimentel, A. Carneiro (Portugal), R. Zahorec, J. Firment (Slovakia), G. Voga, R. Pareznik (Slovenia), G. Gonzales-Diaz, L. Blanch (Spain), J. Wernerman, S. Rubertsson (Sweden), H. Rothen, M. Maggiorini (Switzerland), N. Unal, B. Ceyda Orbey, A. Topeli-Iskit (Turkey), K. Gunning, A. Batchelor, M. Shankar Hari (UK). L. Camputaro, A. Gallesio, S. Giannasi (Argentina), J. Havill (Australia, New Zealand), E. Knobel, S. Eliezer (Brazil), R. Hodder, D. Leasa (Canada), E. Celis (Chile), B. Du, K. Wang (China), G. Bugedo (Colombia), O. Palma (Costa Rico), V. Mwafonga (East Africa), Y. Khater (Egypt), C. Gomersall, G. Joynt (Hong Kong), S. Iyer, N. Ramakrishnan (India), M. Iqbal (Indonesia), T. Maekawa, T. Imai (Japan), T. Li Ling (Malaysia), T. De Guia (Philippines), G.G. Terzi (South America), T. Buckman, V. Kvetan, N. Stonis (USA), Y. Yapobi (West Africa). G. Roth, U. Thaler (Austria), T. Filipov, N. Keremidchieva (Bulgaria), A. Vujaklija (Croatia), A. Vlkova (Czech Republic), B. Riis Anderson (Denmark), S. Bendel (Finland), J. Della Monica (France), U. Bartels, T. Ninke (Germany), P. Kostis, H. Apostolakou, N. Maghina (Greece), A. Mikor, T. Leiner (Hungary), I. Hayes (Ireland), S. Lev (Israel), L. Ferla, C. Santonocito (Italy), A. Van Hove (Netherlands), T. Albrecht (Poland), S. Teixeira, R. Freitas (Portugal), C. Sabatier Cloarec, R. Peredo Hernandez (Spain), C. Passath (Switzerland), A. Shah, N. Lees, S. Vamadevan (UK). G. Ramsay (West Hertfordshire Trust UK), H. Reay (Warwick University, UK). Process for discerning and officially recognising the attainment of a quality standard. This may include completion of specialist medical training to a pre-defined standard, usually formally documented via certification. Primary speciality. Accessed directly after undergraduate training. Major base specialities include internal medicine, surgery and anaesthesia. The ability to integrate generic professional attributes with specialist knowledge, skills and attitudes and apply them in the workplace. A strategy which aims to standardise the outcome of training (what sort of specialist will be produced) rather than the educational processes (how the specialist is produced). A programme which defines the outcomes (competencies) required of doctors at different stages of training, provides guidelines for the assessment of these outcomes and educational resources to support their acquisition within the workplace. Outcomes, articulated as competency statements, are defined in a manner which facilitates integration of knowledge, skills and attitudes and assessment of performance to a common standard during routine clinical work. The methods by which competencies are acquired and the time taken to do so may vary between trainees and between training programmes, but the competencies and the modes for assessing their acquisition are clearly defined and common to all. Defines an element of competence which is articulated in behavioural terms which allows performance to be measured, assessed and evaluated. Curriculum followed by all trainees within the training programme. May include both theoretical and clinical elements. Encompasses knowledge, skills, attitudes and behaviours. Sets the minimum requirements for completion of ICM training. Formally documented. Accreditation via certification in both a base speciality and intensive care medicine. Methods of teaching and learning (how the doctor is produced). The end product of training. Access to ICM training permitted for trainees from more than two different major base specialities. ICM training ‘owned’ by multiple parent specialities––access limited to trainees within the respective parent discipline, enables multidisciplinary access during or after base training. Each speciality has its own national ICM curriculum. Certification is awarded as a dual certification or via the base speciality certification which includes ICM. A core curriculum which is nationally agreed and recognised. Route by which a single ICM training programme is accessed and/or completed. A programme may be combined with other training programmes or accessed at various stages of specialist training but it is essentially the same ICM programme. ICM is the base speciality and can be accessed directly after undergraduate training. Specialist certification awards accreditation in ICM only. ICM training ‘owned’ by one parent speciality––access limited to trainees within this speciality either during or after base training. Certification is awarded as either a dual certification or base speciality certification which includes ICM. Satisfactory completion of specialist training recognised by the award of a certificate from the responsible national training authority; often also termed ‘accreditation’. Accreditation via certification in ICM alone (i.e. 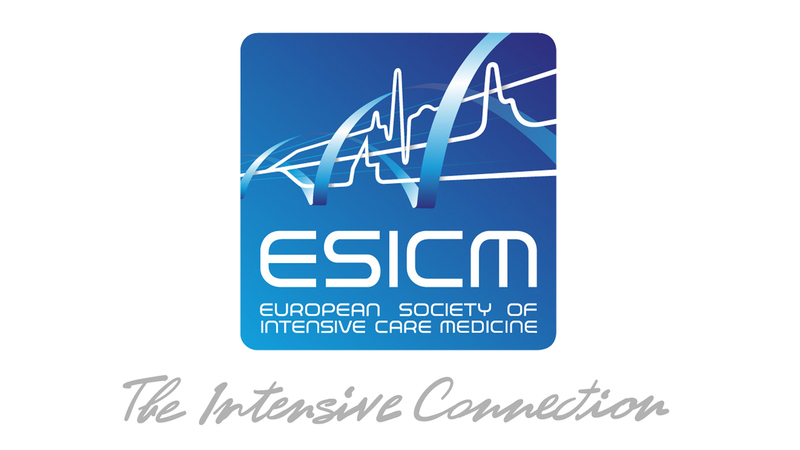 certification in ICM is validated and awarded independent of a base speciality). Multidisciplinary access to a single common ICM programme during or after training in a range of base specialities has a common national curriculum. Certification is awarded as a Dual specialist certification in a base speciality and in ICM. ICM specialist certification alone is not permitted.